Pandora — the personalized internet music-streaming service — offers a free account for streaming music to your desktop and is a perfect solution if you want to create your own custom radio stations and discover new bands and artists. Although you can use Pandora without signing up for a free account, you can't create your own customized stations and return to them later without registering. Pandora offers services through a browser, as well as dedicated apps for Android, iOS, and Windows. It's also optimized for Amazon's Fire devices. Set up your free Pandora Radio account in your computer's internet browser. Using your favorite web browser, go to the Pandora website. Click on the Sign-Up link located near the top right corner of the main page. Complete all the required fields of the registration form displayed on the screen. They include an email address, password, birth year, ZIP code, and your gender. Pandora uses this information to personalize your listening experience on the website but keeps all the information private. Before you complete the registration, you are asked to make certain choices. For example, do you want personalized recommendations and tips regularly sent to your inbox? If not, then ensure this option is not checked. Verify that all the information you entered so far is correct including your options near the bottom of the form and then click on the Sign-Up button. By default, your Pandora Profile is set to Public, but you can opt to set it to Private. You can make this change at any time in your account settings. The icon is at the top right of the screen. After you open your free account, visit your account settings and set them up to suit you. You've successfully signed up for a free Pandora account. 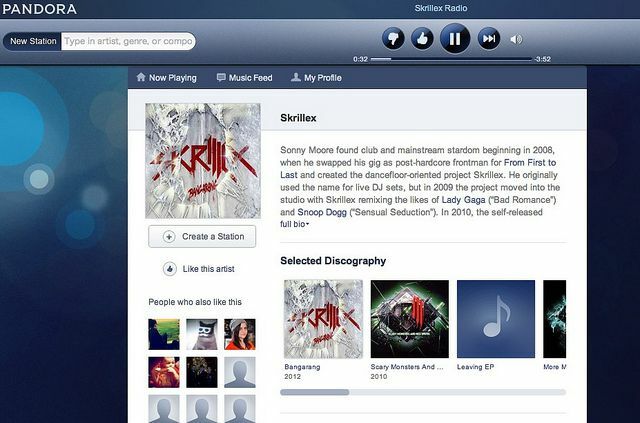 Time to pick an artist or song to set up your first Pandora station. Pandora offers free trials for its two paid options: Pandora Premium and Pandora Plus, both of which remove ads from the listening experience. The Premium package allows you to download music for offline listening.